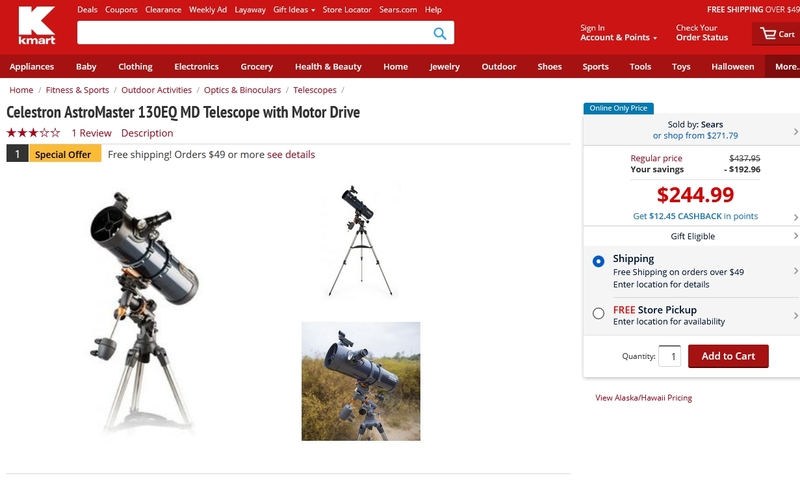 $199.98 Celestron AstroMaster 130EQ MD Telescope With Motor Drive (vs. $349.95) at Telescopesplus. Steven Peck Product deal active, it is working as the description , the product is available with the same price. Hana Sim Product deal validated, it works as the description, the product is in stock and the price is available.